The standardisation of volcano early warning systems (VEWS) and volcano alert level systems (VALS) is becoming increasingly common at both the national and international level, most notably following UN endorsement of the development of globally comprehensive early warning systems. Yet, the impact on its effectiveness, of standardising an early warning system (EWS), in particular for volcanic hazards, remains largely unknown and little studied. This paper examines this and related issues through evaluation of the emergence and implementation, in 2006, of a standardised United States Geological Survey (USGS) VALS. Under this upper-management directive, all locally developed alert level systems or practices at individual volcano observatories were replaced with a common standard. Research conducted at five USGS-managed volcano observatories in Alaska, Cascades, Hawaii, Long Valley and Yellowstone explores the benefits and limitations this standardisation has brought to each observatory. 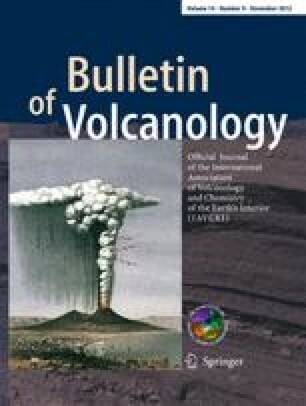 The study concludes (1) that the process of standardisation was predominantly triggered and shaped by social, political, and economic factors, rather than in response to scientific needs specific to each volcanic region; and (2) that standardisation is difficult to implement for three main reasons: first, the diversity and uncertain nature of volcanic hazards at different temporal and spatial scales require specific VEWS to be developed to address this and to accommodate associated stakeholder needs. Second, the plural social contexts within which each VALS is embedded present challenges in relation to its applicability and responsiveness to local knowledge and context. Third, the contingencies of local institutional dynamics may hamper the ability of a standardised VALS to effectively communicate a warning. Notwithstanding these caveats, the concept of VALS standardisation clearly has continuing support. As a consequence, rather than advocating further commonality of a standardised VALS, we recommend adoption of a less prescriptive VALS that is scalable and sufficiently flexible for use by local stakeholders via standardised communication products designed to accommodate local contingency, while also adhering to national policy. Thanks must be given to Deborah Dixon and Nick Pearce for their critical comments and suggestions, and to the two reviewers who provided valuable insights to help strengthen the paper and its appeal. This research would not have been possible without the guidance of Bill McGuire, John Twigg and Gail Davies at University College London. Finally, staff from the USGS volcano hazard program, along with numerous users of the volcano alert level systems, many at U.S. federal agencies, dedicated hours to this research across all five observatories, and thanks must be given for their generosity and kind hospitality during my fieldwork. Carina Fearnley’s thesis, ‘Standardising the USGS Volcano Alert Level System: acting in the context of risk, uncertainty and complexity’, was funded by an interdisciplinary grant between the UK Natural Environment and Economic and Social Research Councils (NERC and ESRC), project no. PTA-036-2006-00040 and was completed at the Aon Benfield UCL Hazard Research Centre at UCL. US Department of Homeland Security (2010) Department of Homeland Security Advisory System. http://www.dhs.gov/files/programs/Copy_of_press_release_0046.shtm#5. Accessed 6 May 2010.